Close, direct customer contact as a result of consistent, international alignment. 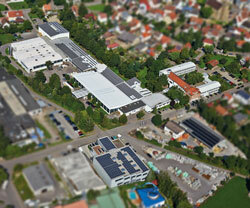 A staff of more than 550 are at work for you in our four German production sites. 400 employees work in the headquarters of AFRISO-EURO-INDEX GmbH in Güglingen. We support you with a staff of more than 80 field and internal experts. AFRISO support centres – close to you.